As long time readers of the blog might realize by now, sometimes I like to draw. I am not great at it, nor am I at all disciplined in the art of... arting... but every once in a while I come up with something I'm proud of, and this happens to be one of those times -- even if it is a little bit fanarting of my own book, because excess of enthusiasm. cover art for the e-edition! I'm not going to lie, I never expected to be writing about orcs. 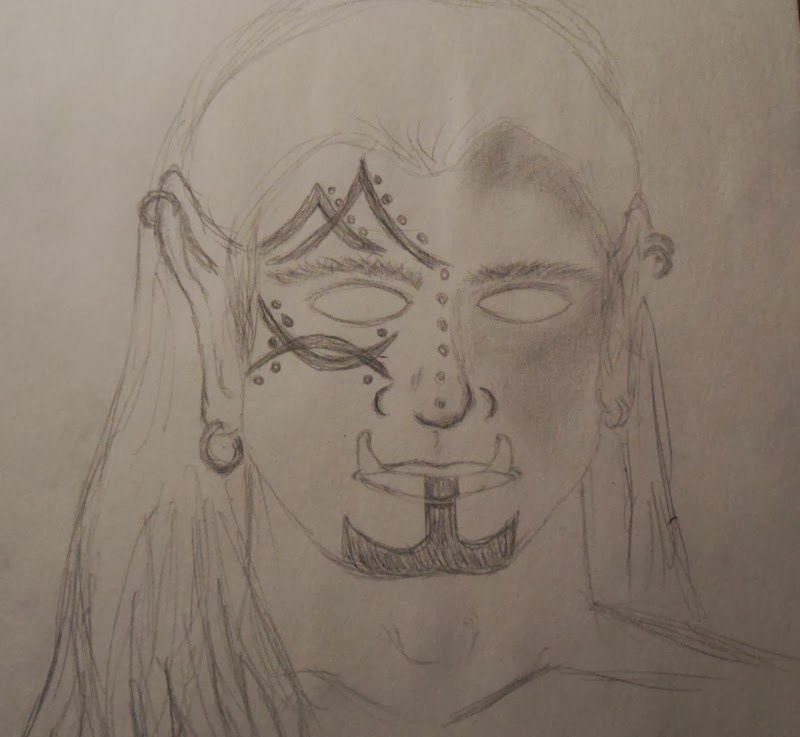 I never EVER expected to be inventing an entire orcish culture. But I was caught by this idea of a world wherein a human and an orc might get together in a manner that didn't involve sexual assault. What would those orcs be like? Would that particular orc be an exception or the rule? That was the seed from which HONOR AMONG ORCS sprouted into something so much larger. Because my orcs didn't exist in a vacuum, and the more I wrote, the more I realized how much they struggled against themselves, and the ideas of their selves which had been imposed upon them by Others. When everyone looks at you as the monster in the night, how does that affect your feelings of self-worth? When everyone judges you as good for only one thing, do you begin to discount all the other things you might be capable of? And the more I wrote, and the more questions I began to ask, the more I fell in love with these characters, this world, this book. 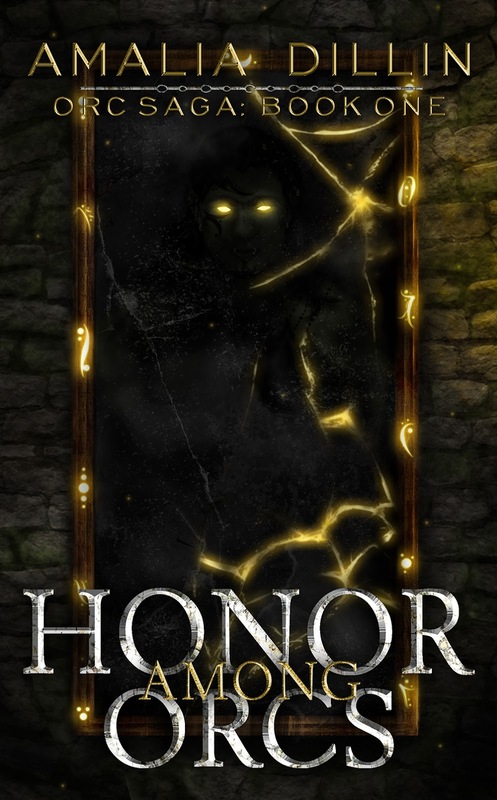 It's my hope that on April 1st, when HONOR AMONG ORCS releases, you'll fall in love with it, too!